The first time I heard the term “sensory diet” I could only imagine what my son would be made to eat… but it turns out that it has very little to do with food. Instead, it’s about making sure your child get the sensory input (or lack of it) that helps your child regulate her sensory system. This can be easily range from weighted blankets to swings to a trampoline (we happen to keep a mini one in our TV room at all times). 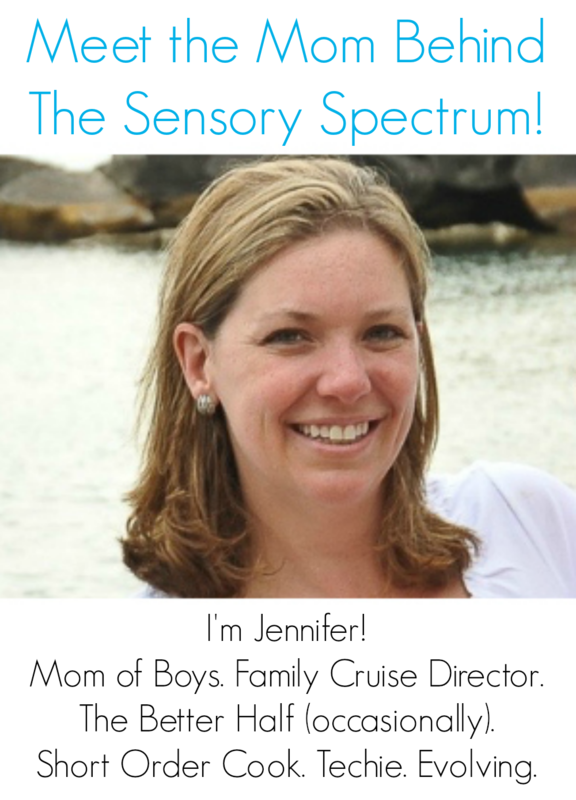 Today we welcome one mama who shares how she figured out what her son needed for his sensory diet. My son was diagnosed with PDD-NOS (a type of Autism Spectrum Disorder), Sensory Processing Disorder and a mood disorder shortly after his sixth birthday. It has been more than two years since we received his official diagnosis. For those of you whose children were diagnosed recently, I recommend you start a sensory diet. I really thought this was about food at first. I had never heard of this before. When the Neuropsychologist who diagnosed Adrian suggested a sensory diet, I asked which foods he meant. A sensory diet are activities that help your child process sensory input. After diagnosis I started reading. I still turn to reading when I do not understand. My favorite books have been The Out-Of-Sync Child books. We sought out a highly recommend occupational therapist, and I began looking into therapy products. We have tried various things for our son. We bought a neoprene vest first. He hated that vest. I would put it on him at the first hint of him needing pressure input and he put up one heck of a fight! At first I was not sure if it worked. Was he just tired of fighting me and wore himself out or did the vest actually calm him. The more I tried the easier it became. The next item was UnderArmor. You know the material sports champions wear to help keep them warm and non sweaty. His OT suggested this as another type of pressure garment. It was not met with resistance and he seemed to like it actually. We have used a variety of oral aides because my son is a heavy chewer. He will chew anything and everything. For this his OT suggested gum; however, my son and gum do not mix well. We have had to cut it out of his hair before. He has also spent time crying because sticky gum got on his hands. He is the kind of kid who hates to get his hands dirty but will play in the mud rubbing it through his hands. This is obviously tactile related. His skin seeks out sensory input all the time. I think that is the major way he connects to the world. He loves deep pressure through massage or a weighted blanket. We purchased one with Disney’s Cars characters on it and 10 pounds of weight. All of these items help him cope. Most recently now that he’s finally allowed us to we put him in sunglasses and a hat when outside. He does not like being outdoors – too much sensory input. Lights, sounds and smells all can send him into the deepest of meltdowns. In addition, he will not wait on a line for long. It frustrates him to no end. We have found a way to help with that too. We let him carry along his iPad. I had previously tried books or a toy or his most prized possession – a blanket he has had since his first birthday. He never goes anywhere without it. It is dark blue with a teddy bear pattern made of two pieces of flannel like material tied together and is worn thin from seven years of being slept with every single night. If I wash him I never hear the end of it. It is his favorite coping method. We also did the brushing method. You take a plastic brush and stroke your child’s skin to desensitize it. Now when my son has a meltdown there are three things that work best in a quite space. 1) Deep breathing 2) Pressure massage 3) Counting to 10. We try to stick to routine so he knows what to expect. 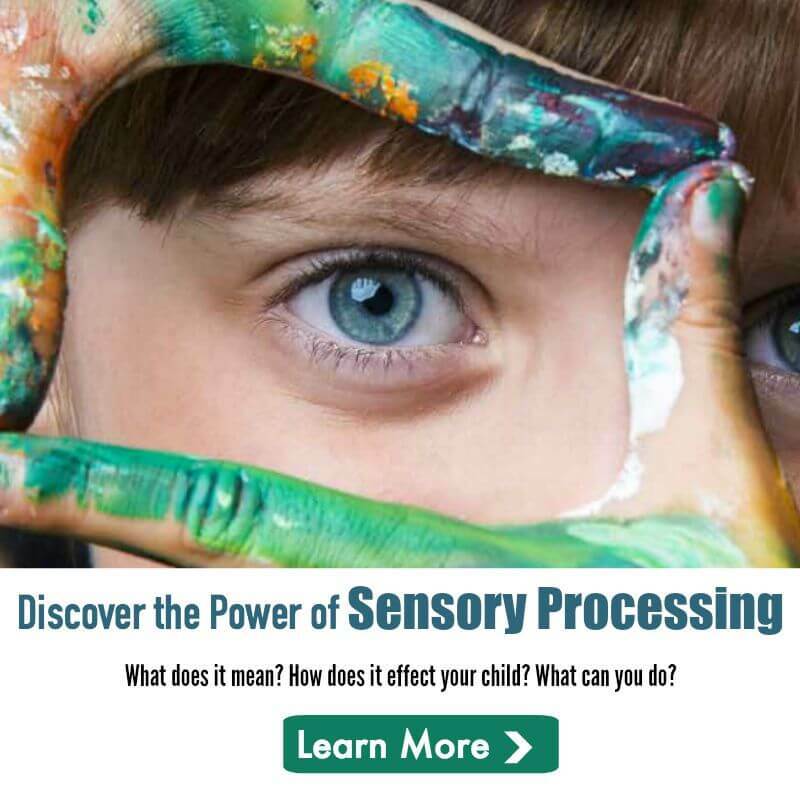 Parenting a child with Sensory Processing has its difficulties but once you find what works for your child, it gets easier. This post originally appeared on The Spectrum Mom. You can read more there.